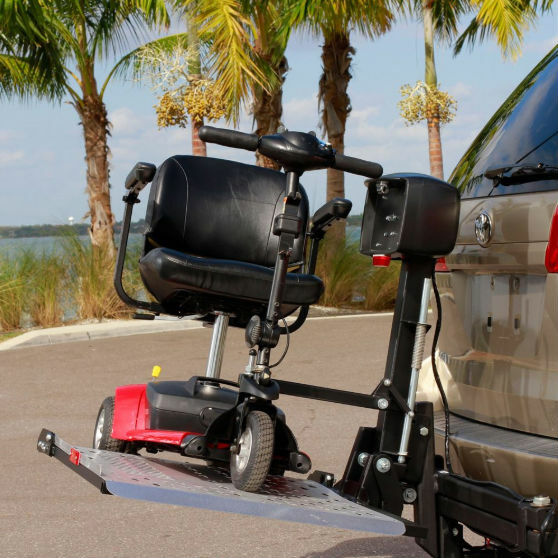 Now you can travel on the road with your mobility device without any setbacks or inconvenience. Installing a scooter lift carrier is a great option if you know you will be using one long-term from now on. There are many reasons to have one. For example, they promote safety, making transportation a viable choice for your and the family. Certain scooters can be disassembled and transported in the car, but can be cumbersome and difficult for some people. 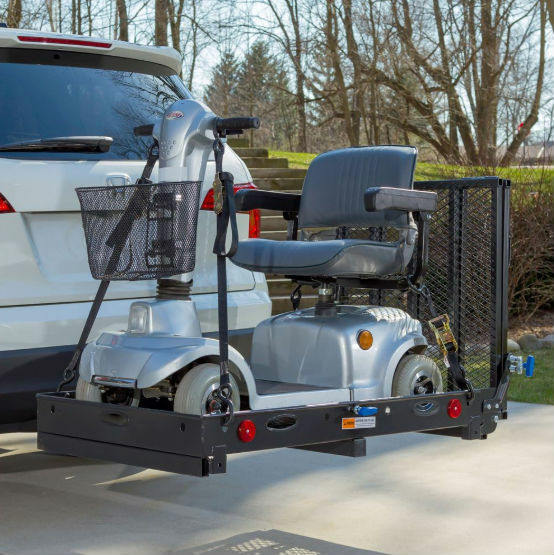 With the convenience of owning a mobility lift carrier, you simply load it on and secure it, and you’re ready to go! Safety and convenience all in one. However, choosing the right style that meets the needs for you can be another challenge. That’s why One Stop Mobility is full committed to helping you from A-Z throughout the entire process. We are certified mobility dealers and have established accounts with all of the major manufactures that make and design scooter and wheelchair mobility lifts. What that means for you is we can order and install any style lift you would need. 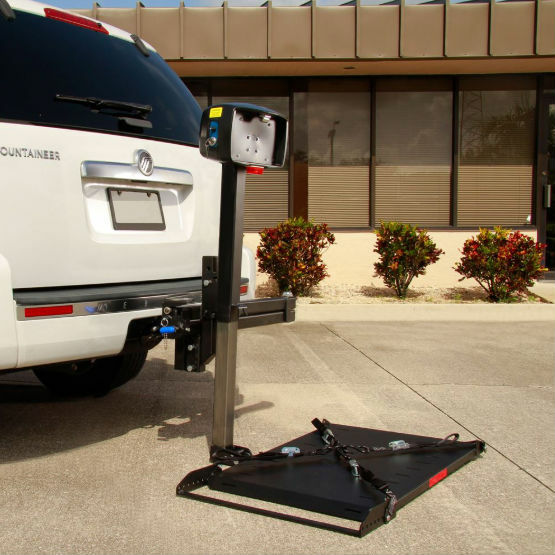 Whether you have an SUV, car, truck, or van, our team can install and set it up for you. If you’re not sure which one is be best for you, our technicians will give you their top recommendations. We’ll also work with you to determine if you would like a manual fold down lift as pictured above, or an electric carrier lift that is fully automatic. There are many different styles to choose from, so don’t be afraid to reach out to us. We’ll recommend what lift would best suit you based on your car make and model, as well as the mobility equipment you currently own or are looking to own. Reach out to us with any questions you may have by filling out the online form below, and a One Stop Mobility representative will get back to you shortly, or to speak to a technician today call (888) 493-0509.